Top5 » Holidays » Christmas » Happy Socks SO Cool You Won’t Want to Take Them Off! 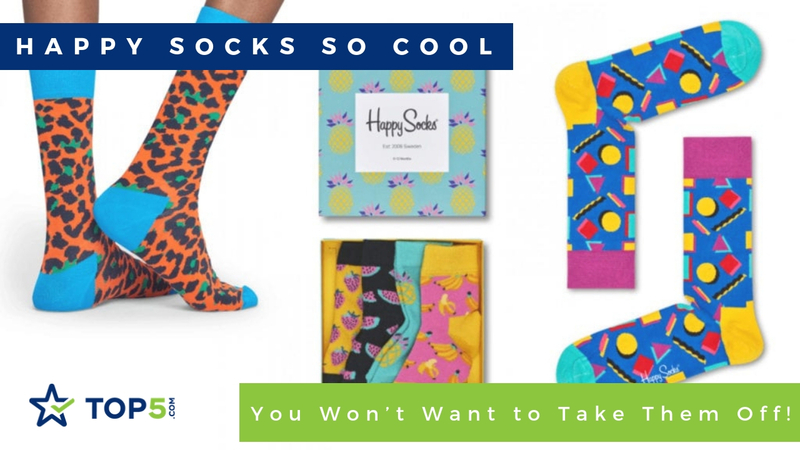 Happy Socks are bright, bold and colorful socks with designs that will make you smile. With a variety of patterns and prints available, there’s a pair of socks to suit everyone. 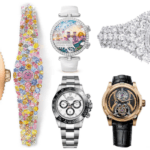 Stuck for gift ideas this holiday season? 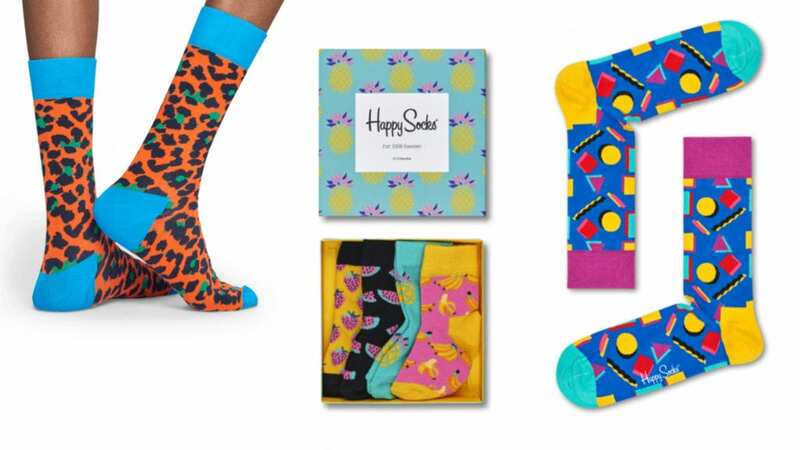 Then why not spread some happiness and gift them some creative and fun Happy Socks? 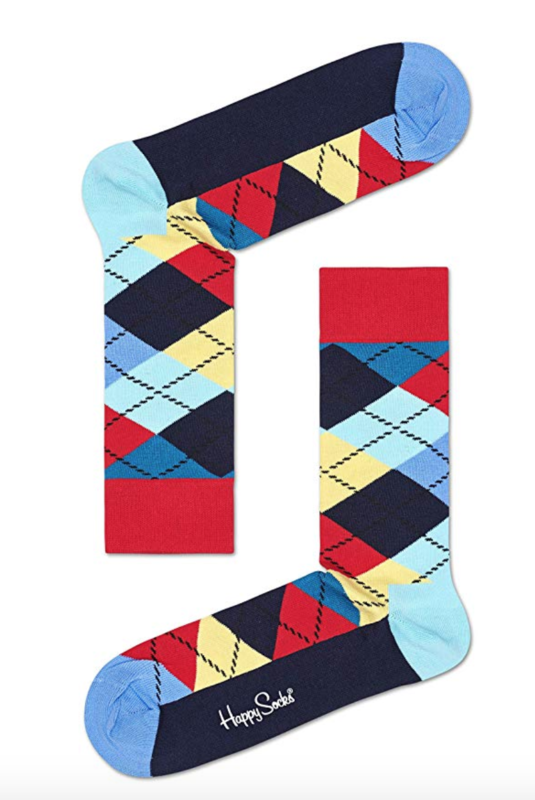 A pair of comfortable, durable and colorful socks with an argyle print: that sounds like a perfect holiday gift for those cheeky chappies in your life. 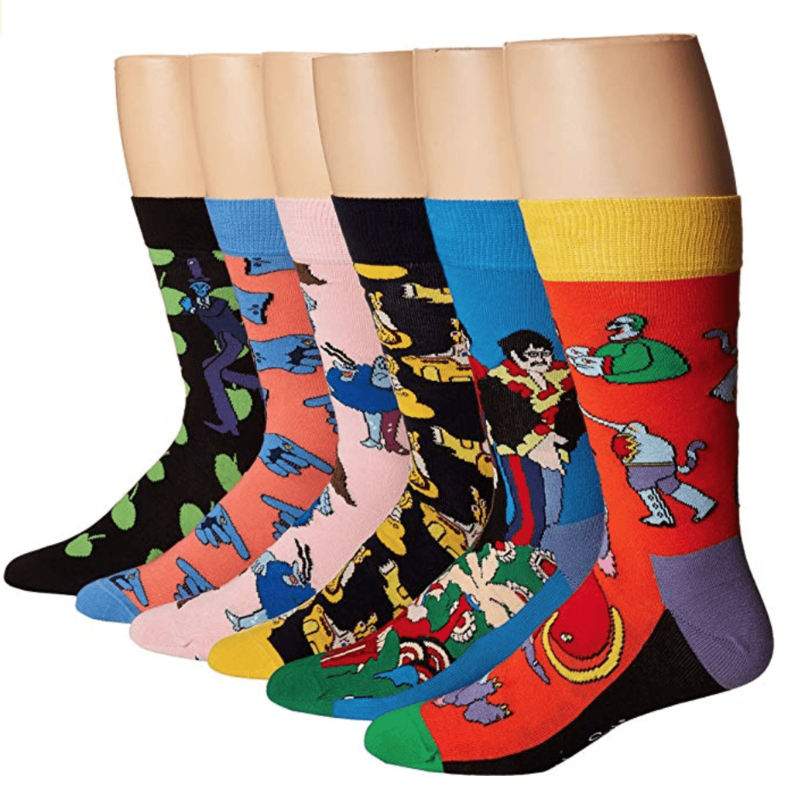 Everyone knows a joker or a mischief-maker, and these vibrant socks are made for the fun-at-heart as they are all about the color. 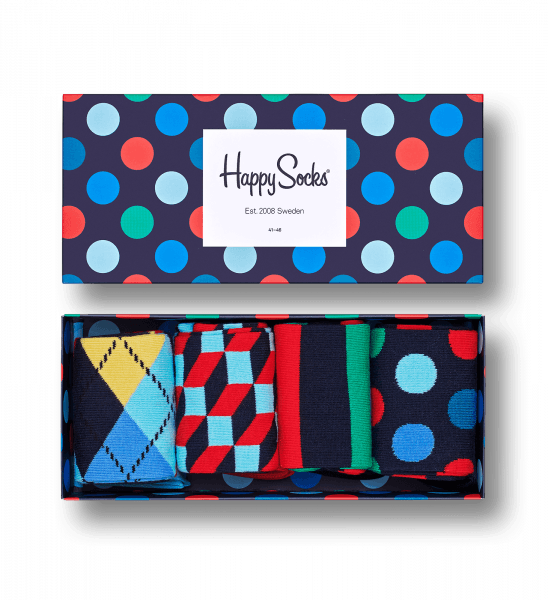 You’ll be delighted to know that Happy Socks also come in kids sizes too! Cheer up your little cherubs with this fun fruit gift set that’s sure to put a smile on their faces. A cute, bright holiday gift that is bursting to the brim with socks in 4 different designs; pineapple, banana, watermelon, and strawberry. 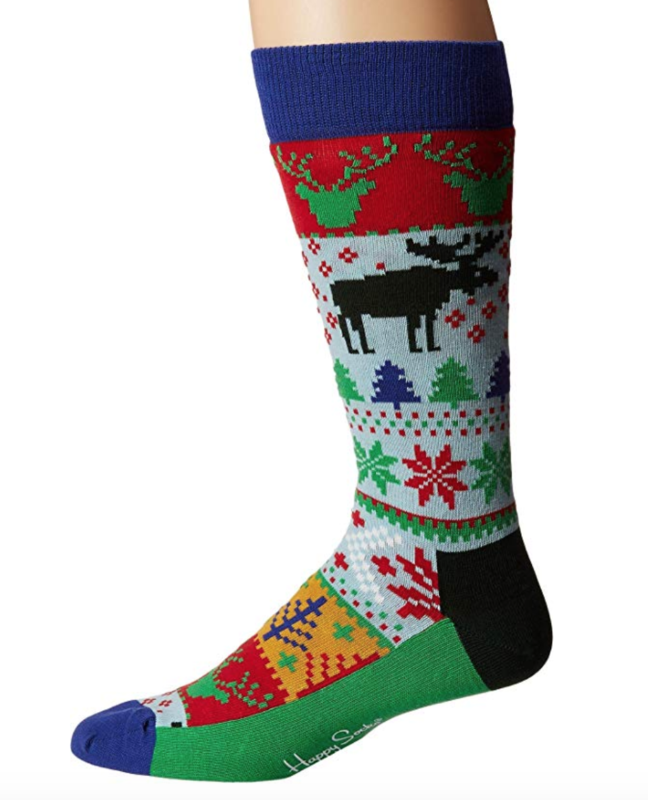 Why not fill up someone’s stocking with this pair of festive holiday bauble socks. Just imagine them opening up their holiday gift on Christmas morning and not being able to wait any longer, so they put them straight on! 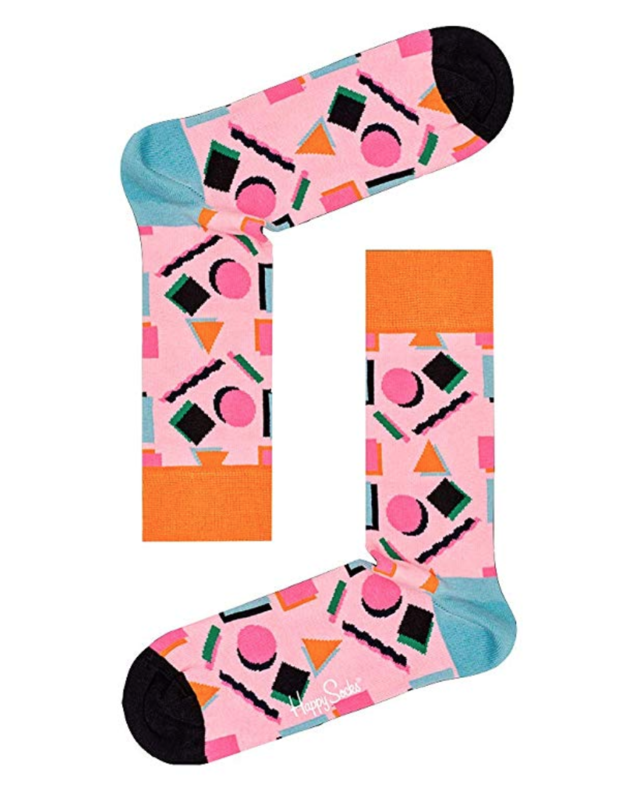 For those passionate about all things ’90s, these blocky, 3D-shaped pair of socks are ideal. The mixture of colors with the patterned dots, squares and triangles: these are the perfect attire for throwing some serious shapes to some throwback nineties tunes. The fabulous guys over at Happy Socks have designed these fun prints and patterns to celebrate the Yellow Submarine’s 50th Anniversary. Inspired by the Beatles animated film, any Beatles fan would be elated to receive this gift set. The big spot gift set is a collection of delightful foot warmers for both men and women. Crafted from combo cotton, the classic designs would fit with any style and add a splash of color to any outfit. Give the gift of cozy feet for every day of the week. 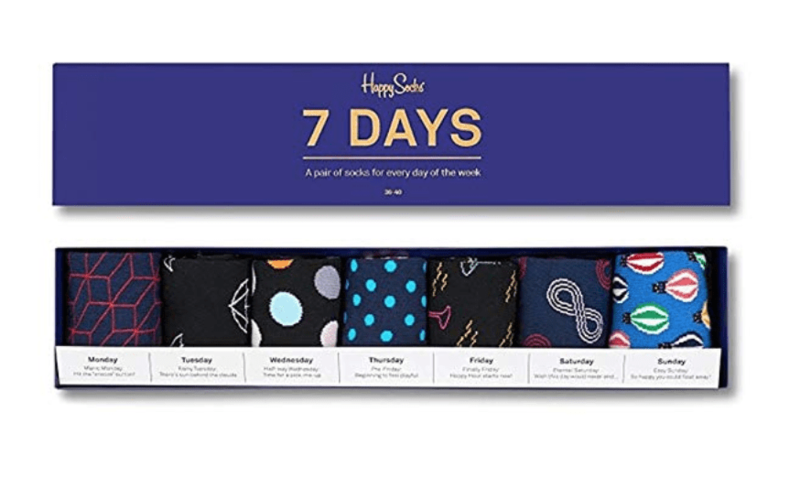 This 7 days gift box has a variety of styles to allow you to pick a pair of favorite socks for every day of the week. Whatever day or activity you choose there’s a pair of socks to go with it. 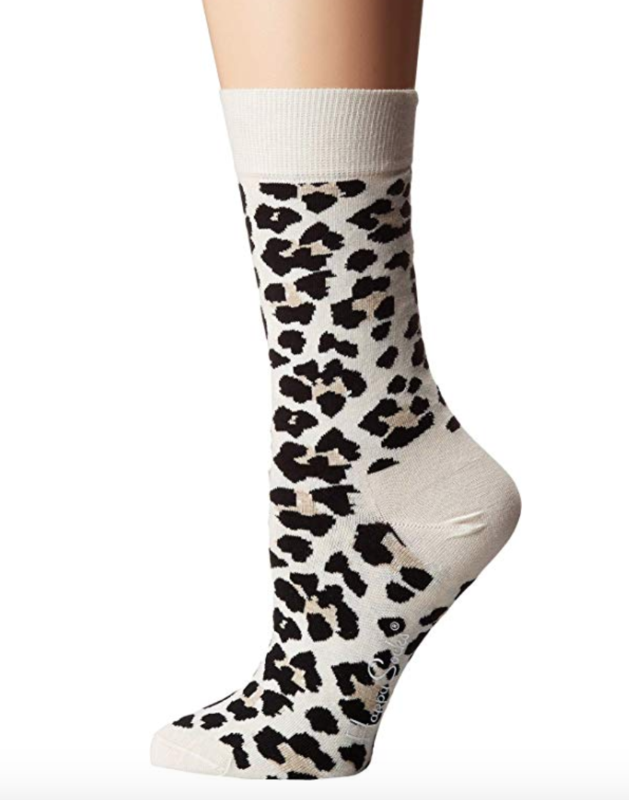 Bring out your animal instincts with these leopard print socks. The orange socks with black and green spots are a modern twist on a classic style. This is a superb, on-trend holiday gift that will be a roaring success. 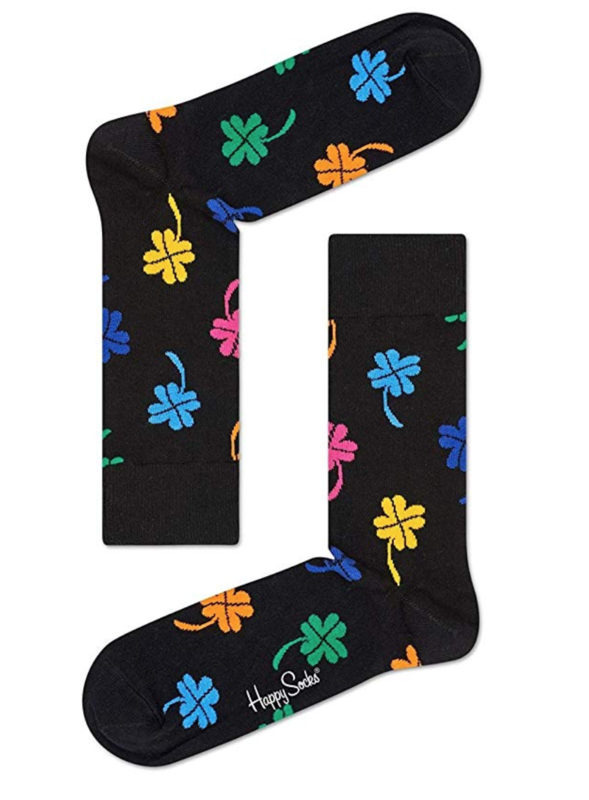 Four-leaf clovers are said to be lucky, so why not give someone the luck of the Irish with this pair of stylish shamrock-design socks? A playful creative gift that may be small but will be remembered for years to come. 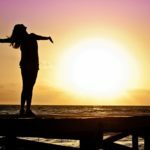 Everyone knows a crazy cat lady or someone that’s on the edge of being one. 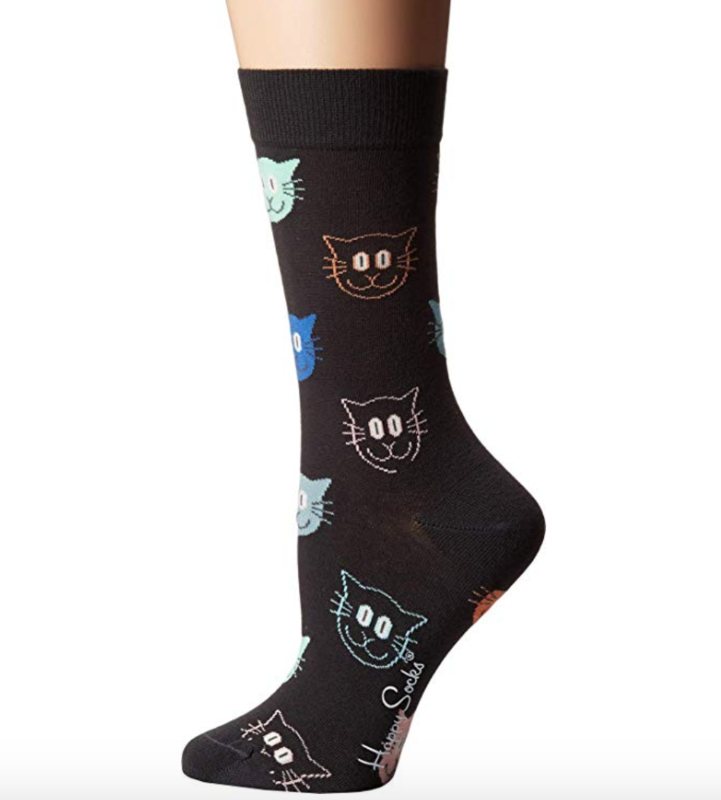 These cat-tastic socks are screaming to be gifted to all your cat-loving friends and family. I mean, just look at their little faces! 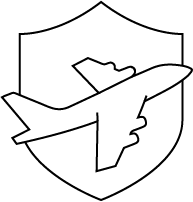 A gift that has been made for those that aren’t so brave with their use of color. 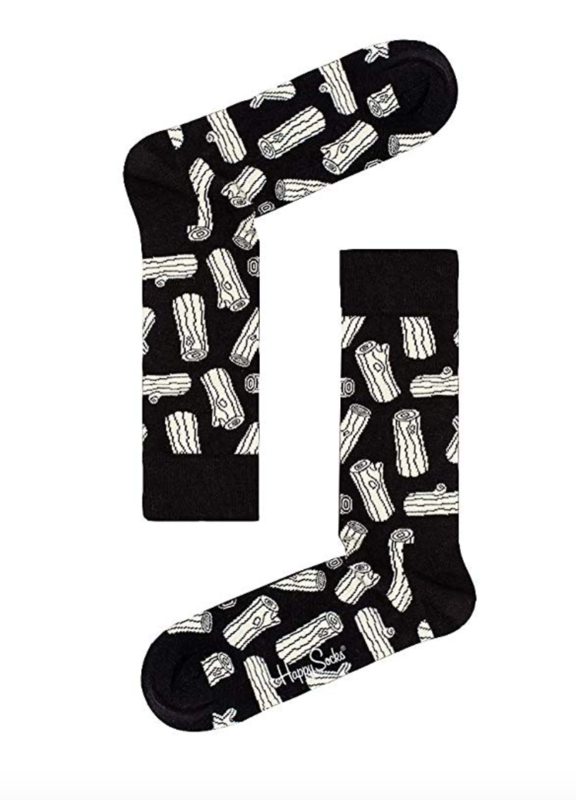 These monochrome log socks are ideal for those that may be a bit nervous about wearing the bold, vibrant Happy Socks yet still want to show their quirky side. 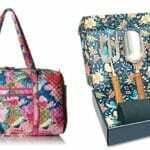 Get back to nature with this forest design gift set. 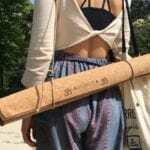 The forest-themed designs would make an adorable gift for the adventurer and nature explorer among your family and friends. It’s the night before Christmas and all is quiet in the house—as you sneak around and leave out the milk and cookies for Santa. These socks have been made for the believer, for the ones that believe in magic and the spirit of Christmas. Give the gift of a rainbow; the gift of color; the gift of warm feet on a cold winters day. 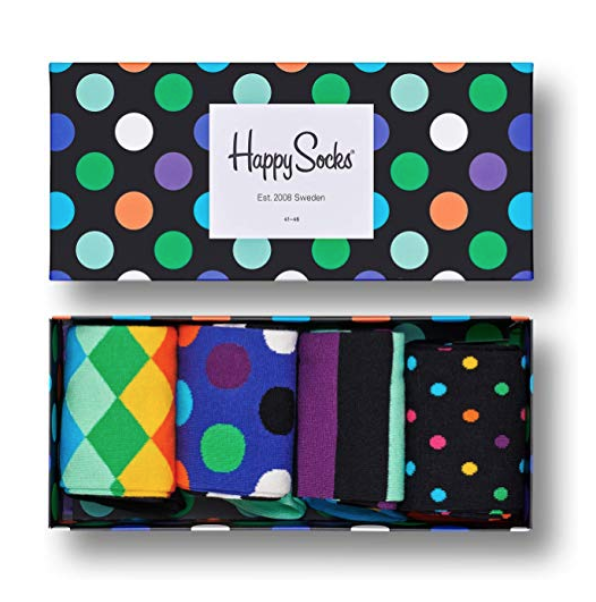 These stripy, multi-colored Happy Socks not only make a fabulous gift on their own but are made even more amazing by the fact that they are packed in a cracker gift box! Who doesn’t love to pop one open on Christmas? Inspired by Andy Warhol’s iconic pop art prints; the banana, flower, cow, and dollar. An awesome gift for any art lover or Warhol fan in your life. 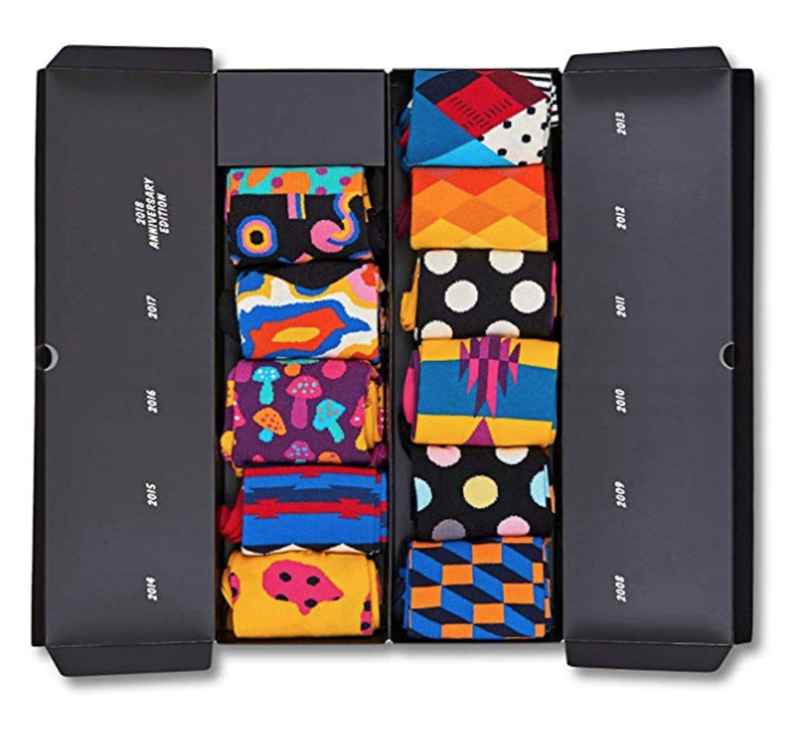 Get 10 beautiful and colorful pairs of socks with this wonderful gift set. 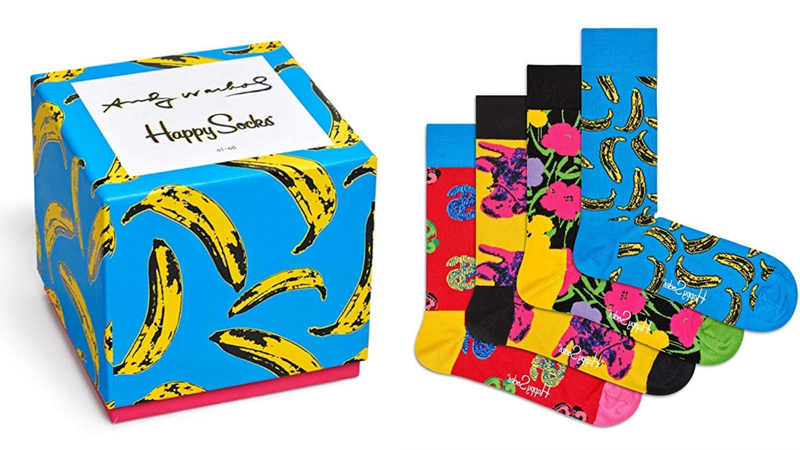 Happy Socks are celebrating 10 years of supplying fun and vibrant socks and have created this gift box to mark the occasion— 10 pairs of fantastic sock for you to enjoy and keep your feet warm. Which of these Happy Socks are your favorite? 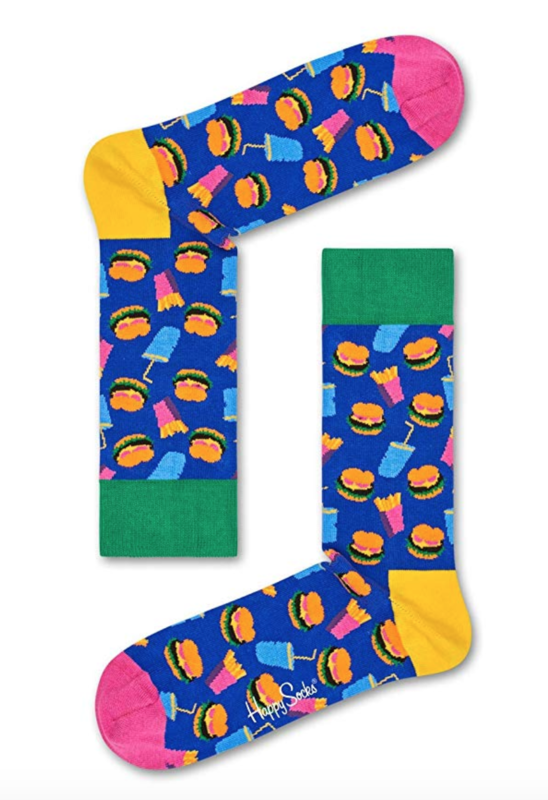 Happy Socks make a fun gift for friends and family or even a little treat for yourself. They are bold vibrant and will make anyone smile. Plus pretty everyone wears socks, right? 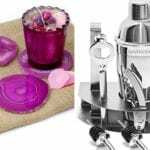 If you’re after some more ideas for holiday giftswhy not check out the nest article for the best secret Sants gifts for under $25?